Of the five companies Gartner names as Cool Vendors in the field of Human Capital Management for Talent Acquisition, Eightfold is the only one achieving personalisation at scale today. Attaining personalisation at scale is essential if any growing business is going to succeed in attracting, acquiring and growing talent that can support their growth goals and strategies. Eightfold’s approach makes it possible to scale personalised responses to specific candidates in a company’s candidate community while defining the ideal candidate for each open position. AI and machine learning have the potential to remove conscious and unconscious biases from hiring decisions, leading to hiring decisions based on capabilities and innate skills. Many CEOs and senior management teams are enthusiastically endorsing diversity programs yet struggling to make progress. 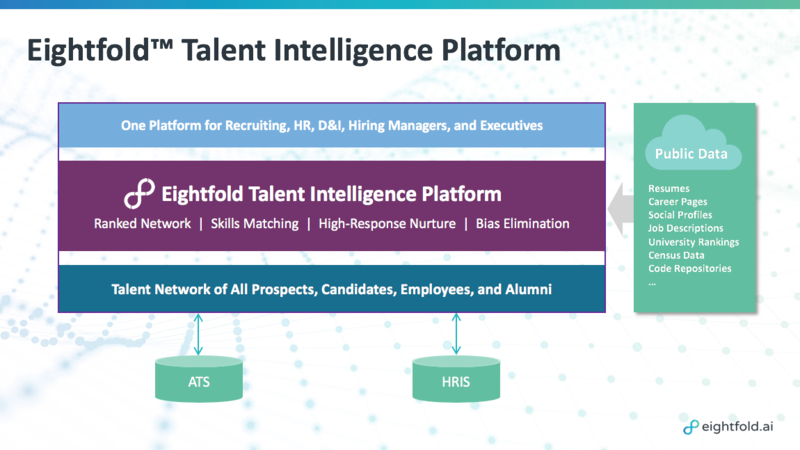 AI and machine learning-based approaches like Eightfold’s can help to accelerate them to their diversity goals and attain a more egalitarian workplace. Data is the great equaliser, with a proven ability to eradicate conscious and unconscious biases from hiring decisions and enable true diversity by equally evaluating candidates based on their experience, growth potential and strengths. 26 Oct 2018, 7:19 a.m.